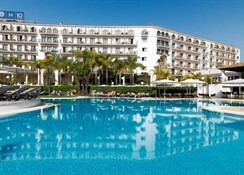 The H10 Andalucia Plaza Hotel is 6.5 miles from Marbella centre and is just over 500 yards away from the nearest beach. It’s the perfect spot for a golfing holiday as there is an abundance of courses nearby including the Real Club de Golf Las Brisas (1.3 miles), Guadalmina Golf Course (2.5 miles) and The Quinta Golf Course (2.6 miles). The Malaga Airport is 29 miles away from the property. 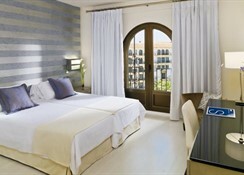 You have the option of several room types at the H10 Andalucia Plaza Hotel which all have a modern design as well as air conditioning and a furnished balcony or terrace. There are 400 rooms and suites in total that are categorised as Double Rooms, Single Rooms, Triple Rooms, Junior Suite, Deluxe Rooms and finally Privilege Suites that offer more space. Cordoba is the main restaurant at this hotel and has both buffet style and a la carte cuisine available, while La Brasserie has market food to enjoy. 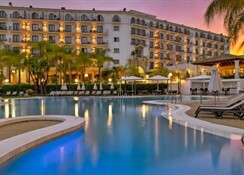 You will also find two open-air terraces at the H10 Andalucia Plaza Hotel in addition to a snack bar by the pool, lobby bar and chill-out terrace. The hotel features a large swimming pool while you can indulge in a range of spa treatments at the Despacio Spa Centre which includes massages, Turkish baths and saunas. 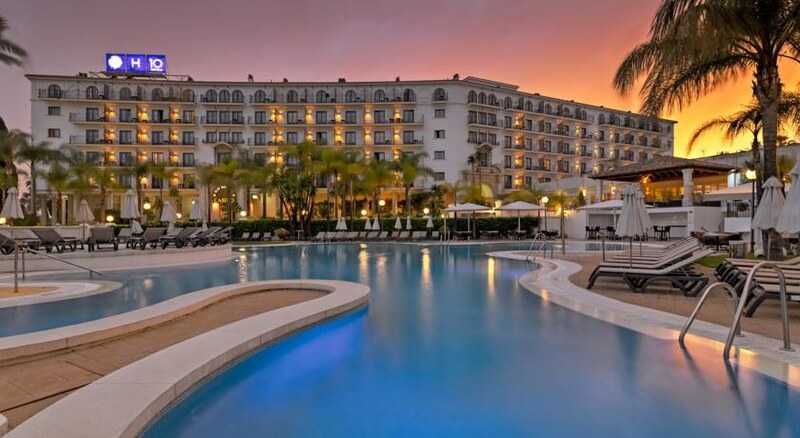 The Marbella Casino is right next door and staying at the H10 Andalucia Plaza Hotel gives you free entry or you can enjoy the entertainment programme that the accommodation puts on. You can book a tee time at one of the golf courses at the golf desk as well. Took tha opportunity to get away over the Easter break whilst and children were away with grandparents. Hotel was really nice and very clean, our room was cleaned every day which was really nice to come back to after spending the day out. Breakfast was nice with plenty of choice. Would have been nice to have some drink making facilities in the room but other than that everything was lovely.